Shabbat Chayei Sarah is almost here! Whoops! We forgot to send out this email on Monday, so you’re getting this note right before Shabbat. Sorry about that. 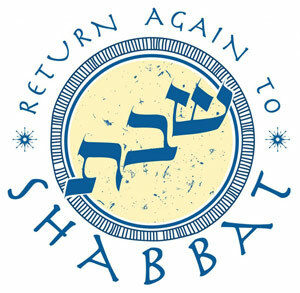 This Shabbat, our shaliach tzibbur (prayer leader) for morning services will be Reb Rachel. There will be a special aliyah and blessing for new members, and services will be followed by a brunch where we will welcome new and prospective members — hopefully if you are planning to join us you have already responded to the office to let us know. We hope to see you soon at CBI. Shabbat shalom! In this week’s Torah portion God calls to Avram with the words “lech-lecha” — “go forth!” or “go you forth!” or perhaps even “go forth into yourself.” God calls Avram to leave the house of his father and venture forward to the place which God will show him. God promises him that his descendants will be as numerous as the stars. But his wife Sarai is unable to conceive. She gives him her slave-woman Hagar as a concubine so that Avram can father an heir. Once Hagar is pregnant, she treats her mistress with disdain. Sarai, in turn, is so abusive that Hagar runs away. That’s when Hagar has the encounter with the angel. Many generations later, Moshe will plead to be shown God’s glory. God will shelter him in the crevice of a rock and as God’s goodness passes by, Moshe will see God’s back, or perhaps God’s afterimage, a reverberation of divine Presence. Our tradition considers Moshe the greatest prophet who ever was or will be; Moshe had a direct relationship with God! And yet now we see that Hagar, “The Stranger,” the slavewoman, has just seen God in the same way. Later in this week’s Torah portion, God renames Avram as Avraham and Sarai as Sarah. In Torah, a changed name means a changed inner being. In the case of Avraham and Sarah, each of them receives the letter ה / heh, which can represent divine presence, or divine breath, or the deep hidden wisdom of the Five Books of the Torah. So what does God’s new name tell us about the nature of God? Hagar names God in a very personal way: not only “The One Who Sees,” but “The One Who Sees Me.” God is the One Who sees each of us, in our triumph and in our distress. God is the One Who sees through our masks and pretenses to the core of who we most deeply are. God sees our hopes, our fears, and our dreams. When we try to flee from the things in our lives which are most difficult or painful, God sees us where we are. Being truly seen means being vulnerable. Maybe that’s frightening. I think it’s also a gift. God is the One Who Sees Me. And you. And you. And you. I experience Torah not only as a story about those people then, but also about each of us now. Each of us is Avram, called by God to go forth, to go deeply into ourselves. Each of us is Sarai, trying to do the right thing, and struggling with jealousy sometimes. And each of us is Hagar, seen by God and seeing God in turn. As we walk the journey of self-discovery, we are never alone. Even in times of despair, may each of us feel in our hearts that God is El Ro’i, the One Who Sees Me and responds with love.